So, I’ve been a total flop these past two weeks since returning from my getaway in Mexico. I feel like so much has changed since that time, and I’m waiting to get things back on track. I was in the process of transitioning into a new position, which I start this week, and planning 3 events (birthday parties, and a potluck with some great friends. 🙂 Needless to say, I have been on the go ever since touching back down in the U.S. So, my apologies for not being as active via the blog world as I’d like to be. I wanted to wait until I felt “fresh” enough to begin posting regularly again, before jumping right in when my head wasn’t completely in the game. Now, I feel like I can catch back up with life again. I enjoy blogging so much, and I really enjoy meeting such incredible people. With that being said, I was recently nominated for two more awards…woooohooo! I have arrived haha! 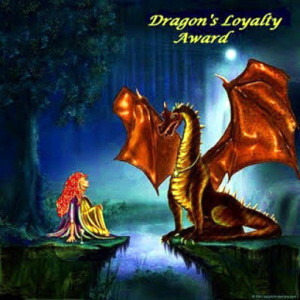 I was nominated by itsgoodtobecrazysometimes, for the Dragon Loyalty Award. From her site, I’ve learned that this award is a way to give thanks for being a loyal fan/commenter. Thank you for the recognition! I always try my best to keep up with the blogs that I follow, for several reasons. I would want others to take the time out to read my posts, I really do look forward to growing my online community, and I always come across some great info provided to me by other bloggers. You guys are all awesome! My favorite snack is popcorn and Swiss rolls! I’d eat this everyday if I wouldn’t gain any weight lol. I enjoy planning events for other people. I’d love to this on the side. I love figuring out all of the little details, and making people happy. I have poor impulse control when it comes to shopping. It’ll take me hours to get “one thing”, because I’m too busy spending more money than I should. My favorite channel is Food Network. I’d like to believe that I was a chef in my former life. I could binge watch this channel all day! I also enjoy watching Cake Boss. The designs on the cakes are so cool! I was also nominated again for the Liebster award by Nena at YOUnfolded. Click HERE to find my response to this award in a previous post. This award is to show appreciation for bloggers for their continuous inspiration to others. Nena, put a twist on this award in regards to her questions. She asked what my advice would be for new bloggers. I would remind all of you (new, or have been here for a while) to always take time to care for yourself. I’ve seen many posts about blogger burnout, myself included in this toll as well. Planning my posts in advance (having a calendar set up, as well as back up posts for those struggle days), have been extremely helpful! If you’re feeling like you still can’t find your creative side, then I would encourage you to take a break. I don’t believe blogging should be hard work. This should be fun, and a way to connect with others. So, don’t beat yourself up if today isn’t a great day. Try again once you take some time off. We’ll still be here :-). 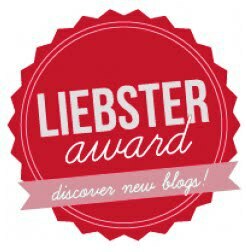 I’ve decided to nominate a few of my newest blogger buddies for the Liebster Award. Now, off to prepping for my Potluck that will take place within the next few hours.